The one good thing about a dealing with a dead lawn is that it can only get better. However, many homeowners aren’t sure where to start or what to do. 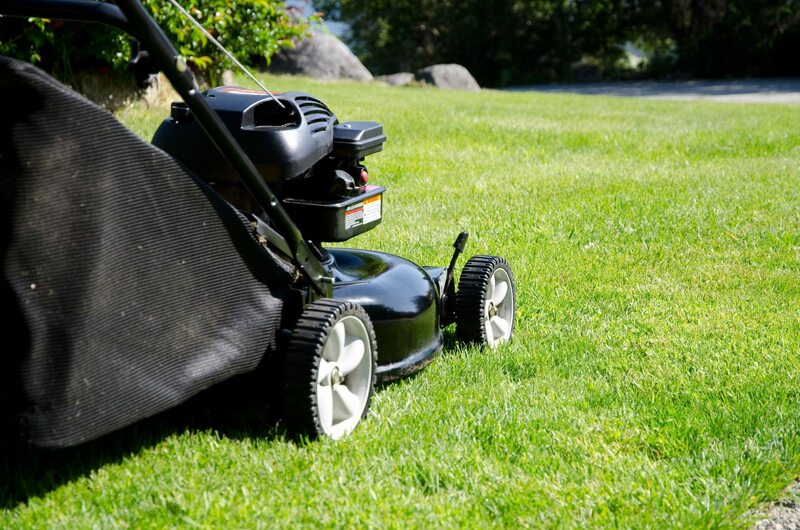 So today, we’re going to lay down a few tips and tricks, to help get back that lush, green lawn you deserve. 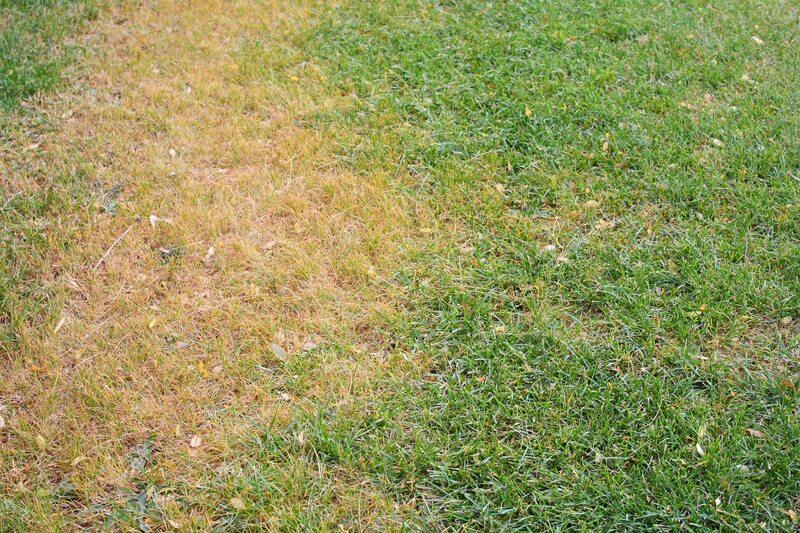 If your lawn has problem areas, you’ll want to find out what is causing them. Is the problem related to a pest, soil or environmental problem, such as excessive shade or the uneven watering? These should be corrected before planting grass or beginning any long-term lawn maintenance plans. If your lawn is in pretty sparse, you may want to consider planting seeds, plugs or sod. Sod is the most expensive option, but it also provides immediate gratification. Planting plugs or seed are less expensive, but require more patience. In the end, the type of grass you choose may determine the planting method for you, as some species can only be laid as sod, while other require the use of plugs or seed. Aerators create small holes in your soil, so water, air and nutrients can reach down to the grass roots. This helps the grass grow deeper and break through to the topsoil as it grows. If your roots are at least two inches deep, your lawn could benefit from aeration. While lawns that have been seeded or sodded should not be aerated for at least one year, post-aeration is the perfect time to add grass seed, fertilizer and compost. Fertilizers are designed to make your lawn green, healthy and more resistant to higher temperature and heavy traffic. Fertilizer also increases leaf and root growth, aids recovery from pest damage, reduces weeds and supplies your lawn with nutrients it can’t always get from soil alone. When shopping for fertilizers, you’ll want to look for slow-release kind that’s high in nitrogen and potassium, and low in phosphorous. It takes longer from your lawn to benefit from slow-release nitrogen, but the effects last longer and cause less pollution. If you recently seeded or sodded your lawn, wait for 30-60 days before fertilizing. Only fertilize grass that is actively growing – do not fertilize during a drought or during the winter, when grass is dormant. Do not fertilize if it is about to rain in the next 24-36 hours. Once you’ve determine that it’s an ok time to fertilize, the most important thing to remember is to read the instructions on the fertilizer bag. When you apply fertilizer properly, you’ll get maximum coverage and a healthier lawn. The best defense against pest is a healthy lawn. If your turf is thick enough, potential weeds won’t get the nutrients or the sunlight they need to grow. However, sometimes spot-treating with pesticides can be beneficial for problem areas. Just remember to follow county guidelines with regard to application or to call a professional to do the job for you. When your irrigation system is set up properly, every inch of your lawn receives the amount of water it needs. Also, when you water more in less time, your lawn can grow deeper roots, which makes it more resistance to extreme weather. An experienced irrigation specialist can take a look at your current system and recommend changes to help you optimize water coverage and efficiency. Plus, some companies even offer maintenance plans, which take the guesswork out of caring for your system, once improvements are made. Every turf species is different and you’ll want to make sure yours is always cut to the proper length. However, in general, the longer the grass, the deeper the roots and deeper roots = stronger grass. Just make sure you aren’t cutting any more than 1/3 of the grass blade at any one time. After a while, you may reduce your mowing frequency altogether. 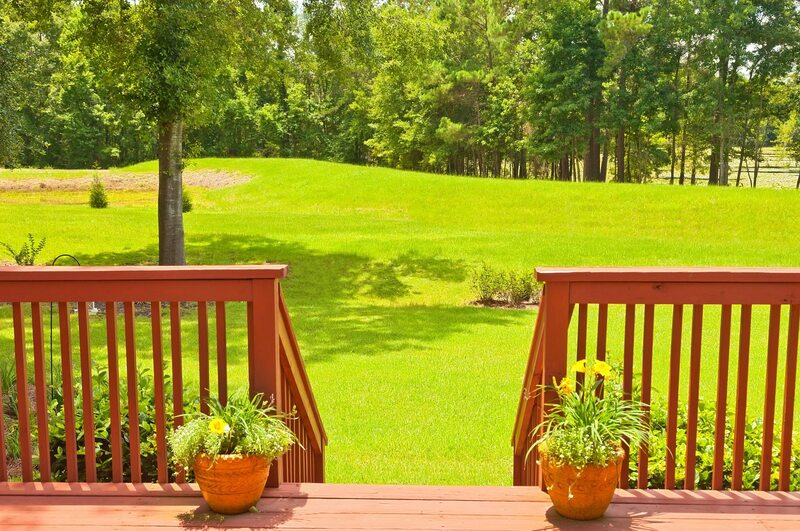 We hope these tips will help you bring back that beautiful lawn. If you have any questions, contact us. Our irrigation systems make it easier to get your lawn back on track and keep it healthy for years to come. Former U.S. Coast Guard and Tampa-native Joseph Swett is the owner of Sunrise Irrigation, a Palm Harbor-based company that has been providing sprinkler and irrigation services in the Tampa Bay Area, Florida, for more than 20 years. A Rain Bird-trained landscape specialist, Mr. Swett is dedicated to helping Florida homes and businesses implement effective irrigation technologies and transition towards smart water conservation. In his spare time, Joe sponsors and plays in two men’s softball leagues, but also enjoys surfing and going fishing with his family.